February brings the launch of three brand new colour multifunctional devices from Kyocera - one of the industrys leading manufacturers of printers and MFDs; the TASKalfa 406ci, 356ci and 306ci. The Kyocera TASKalfa 406ci series is designed to change the way you think about an A4 MFD. A few terms you may have associated with A4 MFDs include "High running costs", "Low volume" and "Limited". 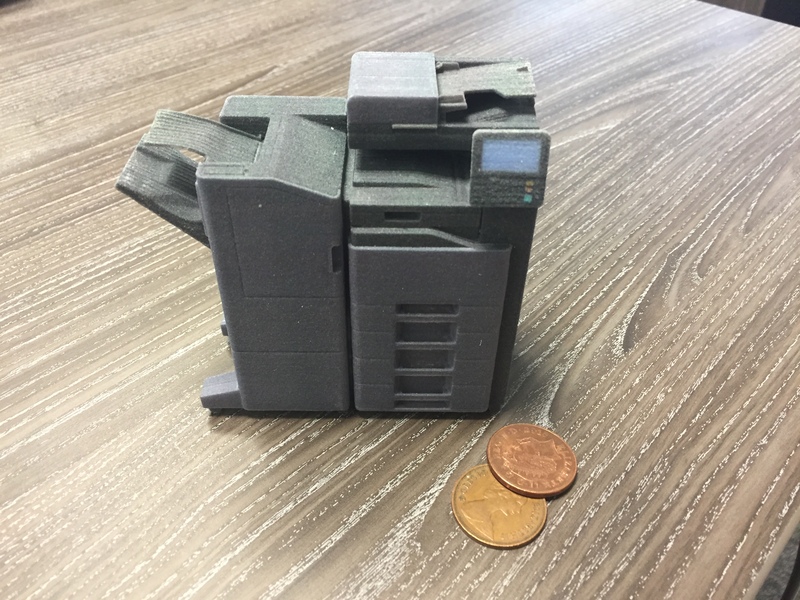 These new multifunctional printers are designed to change the way you think. Heres a 3D printed preview produced on a CubePro Trio! These new departmental A4 machines are designed around the already-proven Kyocera TASKalfa A3 MFPs - just without the A3 capability. Therefore allowing Kyocera suppliers and service providers to propose running costs similar to those of the TASKalfa 2551ci series. A 30/35/40 pages per minute, the Kyocera TASkalfa A4 MFPs are designed to work. With Kyoceras long-life components and efficient document production process, the TASKalfa 406ci series will produce consistent quality in volumes similar to those available from the A3 range. The truly unique capability of the TASKalfa 406ci and TASKalfa 356ci is that they can be supplied with full online finishing functionality including features such as multi-position stapling. "Feature for feature, combined with robust finishing options, the TASKalfa 406ci series surpasses many A4 multifunctional printers in the market today," said Douglas Cole, director, Product Marketing for Kyocera Document Solutions America. "These robust MFPs combine exceptional functionality to streamline document processes with vivid colour, business applications to optimise your document workflow and all in a compact footprint." If you would like more information on these devices such as pricing or document brochures, please contact Insight Systems here.